They were the first band on Sotones. And the loudest, and, often the latest as well as the weirdest. Welcome to the skewed avant-punk of brothers Dave and Bobby Wade Brown.. 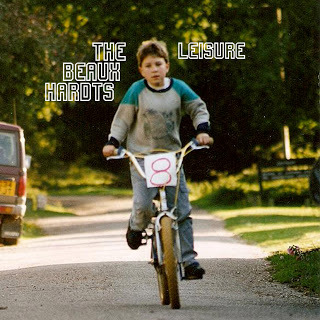 This new 2010 Special Edition of their ‘Leisure’ EP contains over 90 minutes of unreleased and bonus material from their brilliant, brief and badass rock’n’roll career. Physical (2xCD) edition is STRICTLY LIMITED, HAND ASSEMBLED and features a collage box-set as well as 19-page, full-colour ‘Best of the Beaux Hardts’ booklet. Available on Spotify, iTunes and all good digital retailers.